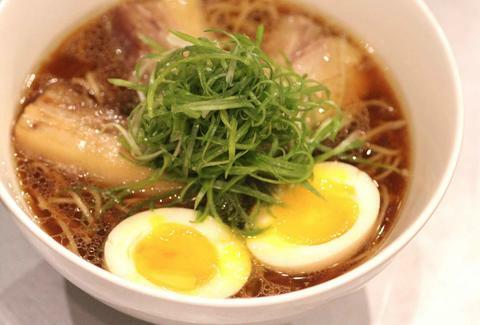 Ivan Orkin, the Long Island-born, Japan-trained noodle master, is launching a new breakfast menu at Ivan Ramen Slurp Shop in Gotham West Market this Saturday, May 2nd, featuring breakfast ramen. If you can imagine a bodega breakfast sandwich mixed with a bowl of ramen, then you're not too far off what's happening here. Fittingly titled 8am Ramen, it's a big cheesy bowl of breakfast made up of a dashi, sharp cheddar fondue, scallion omelet, ham, and thick whole wheat noodles. 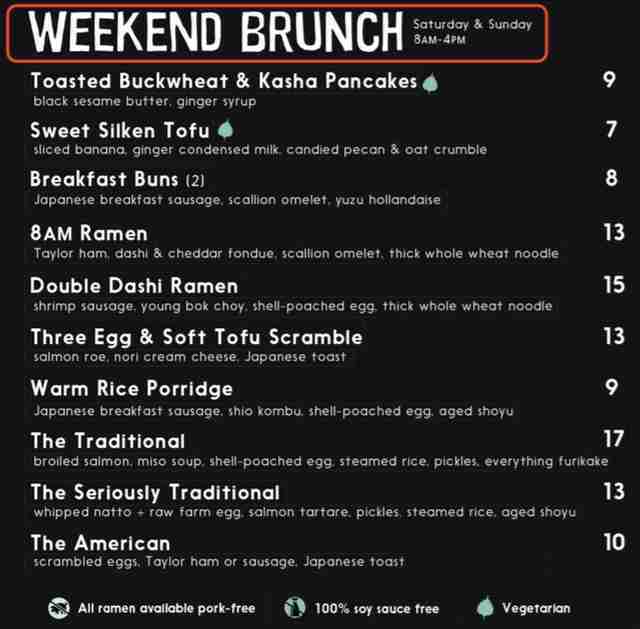 Starting this weekend, 8am Ramen, as well as some other amazing sounding things, like breakfast steamed buns filled with Japanese breakfast sausage and yuzu hollandaise, toasted buckwheat & Kasha pancakes topped with black sesame butter and ginger syrup, will be available Saturdays and Sundays from 8am-4pm. If for some weird reason it's easier for you to get to brunch on weekdays, the 8am Ramen, breakfast buns, and a few of the other options will also be available Monday-Friday from 8am to 11:30am. Tony Merevick is Cities News Editor at Thrillist and wishes there were more ramen places close to his apartment. Send news tips to news@thrillist.com and follow him on Twitter @tonymerevick.